If you are not a professional contractor or roof repair expert, you may not know much about roofing systems. Sometimes, this can lead to erroneous assumptions and misunderstanding about roofing services, and there are many myths out there specifically related to roof repair. As your Top Rated Local® Colorado Springs roofing contractor, we are here to dispel some of the most common roof repair myths, setting the record straight to help you protect one of your largest investments. Continue reading to learn more and then contact our local roofers today for a free roofing estimate. Myth #1: You can install a new roof over old shingles. Some people believe that more than one layer of shingles will provide additional protection and result in a more durable roof. After all, it is more difficult for rain to work its way through multiple layers of roofing, right? While this might seem logical, the idea of installing new shingles on top of old shingles is a very bad idea. It can be done, but we certainly wouldn’t recommend it, and we would advise you to steer clear of any contractor who is proposing this type of work. A new roof will not properly adhere to old shingles, and it is necessary to tear off the damaged roofing before putting on the new to ensure a proper roof replacement. Myth #2: If there is something wrong with your roof, it should be replaced. Some homeowners believe that roof repairs are just a waste of money. This myth may be fueled by a general lack of understanding when it comes to how roof repairs are completed, but it may also be the result of common scare tactics used by unethical contractors. Sure, there are times when a full roof replacement is warranted. However, there are plenty of times when repairing the damaged section is just as appropriate, as well as more cost-effective. If you receive an estimate for a full roof replacement for seemingly minor damage, we encourage you to get a second (or third) estimate from a reliable Colorado Springs roofing contractor. Myth #3: There is nothing wrong with my roof if it isn’t leaking. There are many reasons why your roof might develop a leak. It could be something as simple as wind-damaged shingles, or it could be the result of a more serious issue, like deteriorating decking. If your roof is leaking, it should be repaired right away. However, roof leaks are not the only problem that roofing systems can experience, and the absence of one does not necessarily indicate a damage-free roof. Your roof may have storm damage that is not visible from the ground, or there could be a problem with the ice and water shield or the drip edge. The only way to know for sure that your roof is in good shape is to allow an expert to inspect it. Myth #4: I can save money doing my own roof repair or replacement. This can be very tempting, especially for those homeowners who are looking to save a buck or worried that their homeowner’s insurance might get canceled if they have another hail claim. However, there are many advantages to hiring a professional contractor to perform your roof repairs or replacement. First and foremost, balancing 30 to 40 feet above the ground while working with tools is not a job for the faint of heart. There is a significant risk of falling and you don’t want to injure yourself. Additionally, if you make a mistake, you may need a professional to fix it, which can cost more in the long run when you consider your initial expenses. 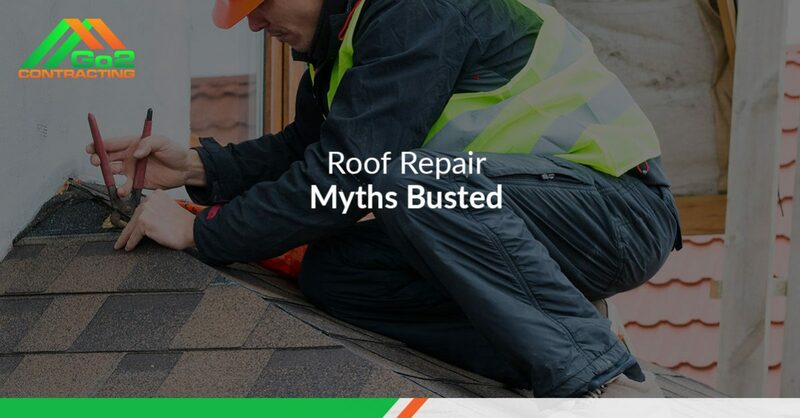 Myth #5: All roof repair companies are the same. This is one of the most common myths that we hear when we are talking to property owners. There is a popular misconception that all roofing companies are the same, and oftentimes, roofing contractors have the reputation of being dishonest or unethical. In truth, not all roofers are the same, and Go2 Contracting would love the opportunity to show you the difference that experience, unique roofing solutions, and a passion for helping others can make. Don’t just take our word for it, though. Check out our online reviews to see what customers have to say about our credibility and workmanship. We are confident you’ll like what you read! 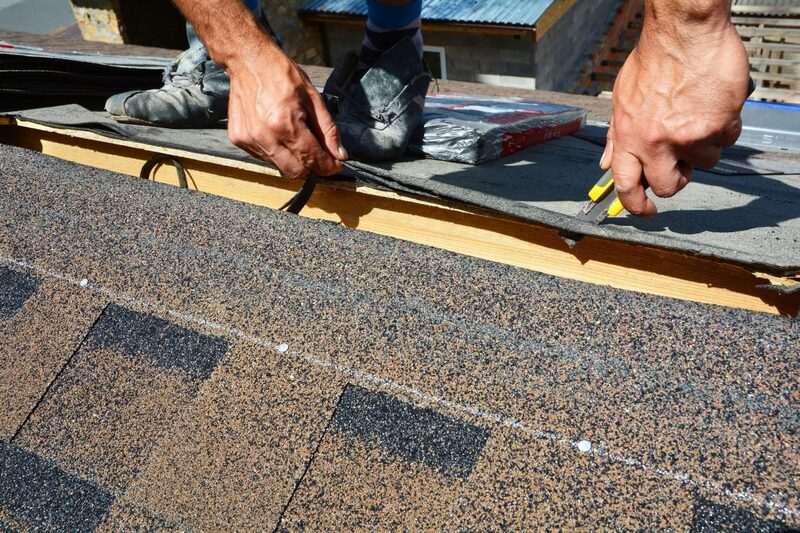 If the roof on your home or business has suffered some kind of storm damage, or if it has just exceeded its useful life, then Go2 Contracting is here to help. We provide industry-leading roof repairs and roof replacements, and we provide other services that many Colorado Springs roofing contractors don’t. In addition to roofing services, we are happy to provide you with siding and gutter repair and replacement so you don’t have to worry about working with more than one contractor. Ready to get started? It’s not too late to address the storm damage your roof sustained over the summer. Request your free estimate from your Top Rated Local® Colorado Springs roofing contractor today!